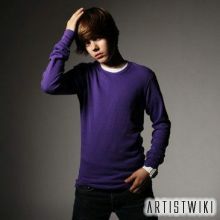 Justin Drew Bieber (born March 14, 1994) Is a Canadian pop/R&B singer. He began his professional career on YouTube, where he was discovered by his future manager, Scooter Braun. Braun flew Bieber to Atlanta, Georgia, to consult with Usher and soon signed a record deal with Island.